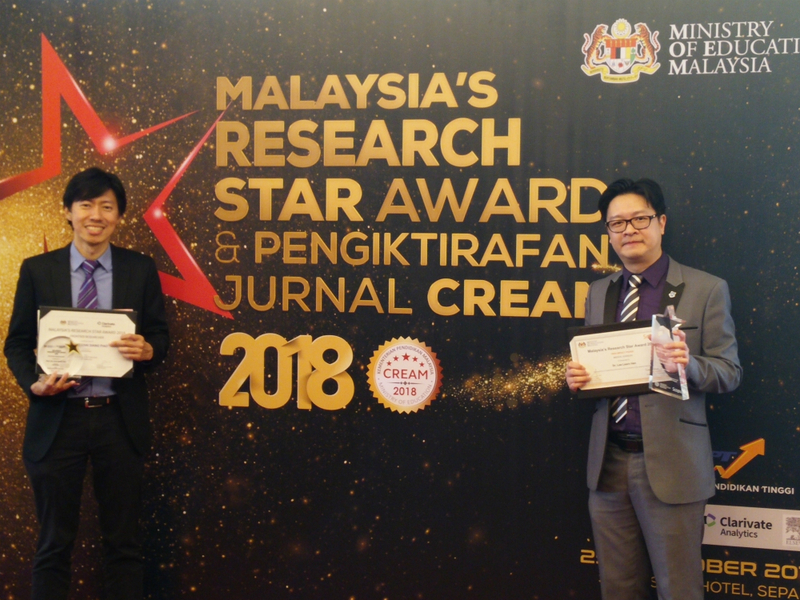 The Ministry of Education recently recognised two researchers from our University as Malaysia’s most promising and influential researchers at the Malaysia Research Star Award (MRSA) 2018. Winner of the MRSA Award in 2017, Professor Chai Siang Piao from the School of Engineering received the Frontier Researcher Award by Clarivate Analytics. Dr Lee Learn Han from the School of Pharmacy received the High Impact Paper in Medical Sciences Award by Elsevier. Researchers from Malaysian universities were given the MRSA recognition based on the citation data of research articles published in quality journals indexed in the Web of Science by Clarivate Analytics and in Scopus by Elsevier. Congratulations to both Professor Chai and Dr Lee!